Frustrated with the built-in Messaging application? Want more features? 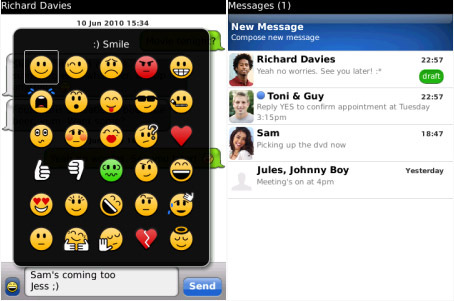 Then crunchSMS is for you, with lots of extra features like chat-style bubbles, contact pictures, **emoji** icons, signatures, text snippets, passcode lock, blacklisting, heaps of customizations. Plus the ultimate in convenience for replying to incoming text messages via the Quick Reply feature! You can simply use crunchSMS as a souped-up replacement to the built-in Messaging application, just with a heap more features and customizations. It's completely free and most features are accessible for FREE! There are no other "pro" or "full" versions of crunchSMS. It's nice and simple. We do however after 7 days show a small "ad banner" inside crunchSMS to encourage users to support us by purchasing a license.